What’s the least you can do? If there’s one thing I hear far too often, it’s the phrase, “What’s the least I can do?” Perhaps not said in so many words, but it’s frequently there, lurking between the lines. Folks will ask me about fencing, and when advice is given, often they return with questions about a less expensive – and less safe – type of fencing. When shelter is discussed, I am asked about the bare minimum one can provide their new pets. I encourage people to look less at “cow and goat” hay and more at the top quality horse hay and forage. I gently remind locals that wooden milkstands and shelters may be cheaper, but will rot and be useless far more quickly than a pricier metal option. And of course, the infamous buyers who want a colorful bred to the hilt doe in milk that will produce enough for their family, but unfortunately they only have so much to spend . . . can I help them? In the majority of cases, these requests and questions do not come from a place of miserly cheapness, but a desire to be frugal, something one can totally understand in this day and age. One might feel that if they can cut costs in some areas, it will save money for the care of the animals, or possible vet needs. 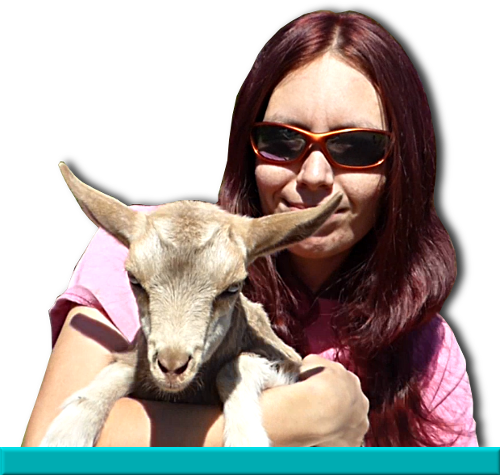 However, it’s far more expensive to be frugal in the long run in certain cases, and goats happen to be one. Where you might save money purchasing the less expensive fencing option, you’ll spend it twice-fold repairing and replacing over the next couple of years. That pallet housing, though cute on Pinterest, will soon be rotting in humid climates, if the goats don’t manage to break it into pieces. The $50 Craigslist goat, though cute and a great deal, will rarely be tested for disease and has an unknown background. I’ve had and have everything from the free rescue goat to the $600 royally bred goat, for I love them all, and I can confidentially say that it costs just as much to care for the cheap one as it does the expensive goat, and the better bred goat always comes out in the lead on production, while a cheaper goat may end up a sunk cost in the end. There is nothing wrong with saving costs, and being frugal – that is for sure! But it’s also important to know where you can cut costs. The best things you can do is learn to handle the majority of basic vet care on your own – vaccinating, disbuddding, hoof trimming, drawing blood – you can learn to do these things. Mix your own feeds and minerals, or join a co-op to buy in bulk if you can. Instead of paying a premium price for a spray to cure that pesky rain rot, hit the dollar store and buy some off brand mouthwash – it works fabulously against any fungal infection. You can even mix up your own mild teat dip with dish soap and bleach. Don’t overpay for goat-sized boluses when you can pay less for the cattle brand and repackage into inexpensive gelatin capsules easily purchased on Amazon. It takes a little more time, but especially as your herd grows, the savings add up. There are a hundred small ways to save money, but when it comes to the key points of owning goats, paying more in the beginning for fencing, shelter, equipment, and stock will pay off in the long run – and not just in monetary value. It will save you headaches, heartbreak, frustration, and irritation.